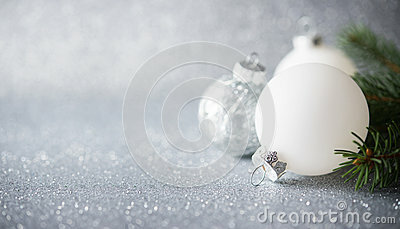 Silver and white xmas ornaments on glitter holiday background. Merry christmas card. Winter theme. Happy New Year. Space for text.